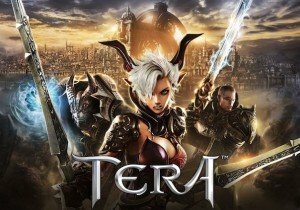 En Masse Entertainment is proud to bring the level 65 PVP Battleground to TERA on Playstation 4 and Xbox One – Corsairs’ Stronghold. In Corsairs’ Stronghold, two teams of twenty players will alternate between attacking and defending a stronghold. Utilizing airships, tanks, and ground battle, players will make their way to the heart of the keep and destroy the castle within. On Defense, players will do everything they can to prevent that siege. To celebrate this, all TERA players will receive a free Pirate Eyepatch to their in-game parcel post when they log in before May 15th.